Off the beaten track, spacious holiday accommodation in a newly renovated 4 bedroom barn conversion adjoining the main house for those wishing to relax and recharge their batteries. 3 double bedrooms with ensuite shower rooms, 1 twin room with family bathroom. A cot and high chair are available on request. Fully equipped farmhouse kitchen with dining table for 8. Outside, a barbecue, table and chairs for 8, sun loungers, garden, terrace. Fully equipped kitchen with cleaning materials, dishwasher tablets,etc. Dining table in farmhouse kitchen seats 8. Golf courses 4km and 10 km away. 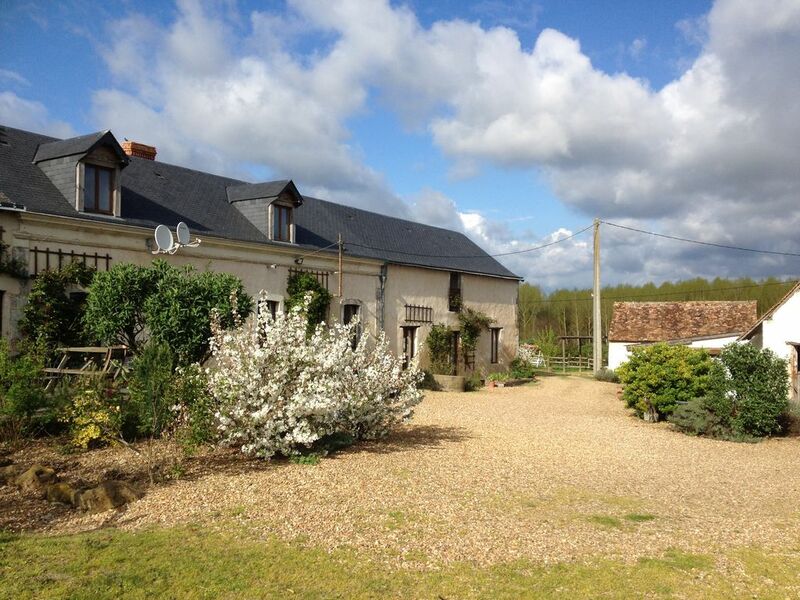 Close to Baugé and its chateau, 10 minutes from La Flèche and its internationally renowned zoo, 40 minutes from the Loire valley vineyards and châteaux, Angers and its Terra Botanica theme park, Saumur and Le Mans.